When driving to the mountains, it is important to know the laws about carrying winter tyres and snow chains. Not all countries and states or provinces oblige you to wear them. I would suggest you to check before you travel. Even if there were no law for using snow tyres, I would at least recommend taking snow chains, because if you are caught in a big snowstorm, you will need them. If you can buy at least second hand winter tyres, do so. It is an investment, more if you are going to drive to the mountains each ski season. Also, if renting a car, don’t assume the car will come with snow tyres, even if going to countries full of mountains everywhere, remember to request them when booking your car rental, and also reserve snow chains. Driving to the mountains- check if you need to have winter tyres and snow chains. Photo Jeffrey Wegrzyn- Unsplash. Here is a summary of where snow tyres are mandatory – please you need to do your own search, as this is not by any means 100% accurate- we cannot be held responsible for you deciding not to take winter tyres! Do your own homework! Andorra: No legal requirement for the use of snow tyres. You should carry snow chains while travelling through Andorra. Road signs will tell you when it is compulsory to use them. Austria: Whilst travelling in Austria between 1 November and 15 April and if roads are covered with ice or snow, it is a legal requirement to use snow tyres. All tyres should have a minimum tread depth of 4mm. You should carry snow chains when travelling in Austria. Road signs across Austria indicate when snow chains are compulsory. Snow chains on the driving wheels will only be allowed as an alternative to snow tyres where the road is fully covered by snow and/or ice and the road surface will not be damaged by the snow chains. Failure to comply with the legislation can result in fines or the temporary loss of your vehicle. France: New rules enforced from November 1st to March 31st each year of winter tyres to be mandatory in the French Alps. This is new for the 2019/20-ski season. The geographical areas and altitudes where the order will apply will be at the discretion of local authorities in the municipalities affected by the new ruling. There is no info yet on which type of winter tyre to use (M+S or 3PMSF), or whether chains or snow socks will suffice. Germany: Whilst travelling in Germany it is compulsory to use snow tyres. Failure to comply with the legislation can result in a fine, and if you cause an accident then the fine can be increased, and mean the level of your insurance could be reduced by up to 20 – 30%. You should carry snow chains when travelling in Germany. In Germany it is compulsory that snow chains are fitted to vehicles. The obligation applies to all four-wheeled vehicles without exceptions and in case of violation there are both pecuniary and administrative sanctions. In residential areas the fine starts at € 41 and can go up to € 168, while outside these centers start from € 84 and up to € 335. In the event that a representative of the police forces close to a motorist to stop, he can not start again until he equips his tires with at least snow chains or any other non-slip means. If this is not possible, an additional fine of € 84 is foreseen and the deduction of 3 points from the driving license”, as stated in Motorionline. Road signs across Italy indicate when snow chains are compulsory. Spain: There is no legal requirement for the use of snow tyres. You should carry snow chains when travelling in Spain. Road signs across Spain indicate when a snow chain is compulsory. 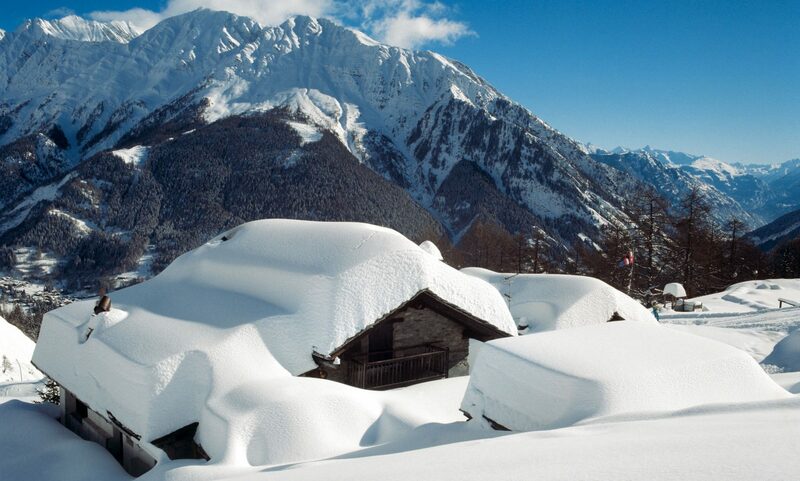 Switzerland: There is no legal requirement for the use of snow tyres. You should carry snow chains when travelling in Switzerland. Road signs across Switzerland indicate when a snow chain is compulsory. We strongly recommend you check The European Commission which has additional information on international traffic rules concerning winter tyres. Canada: Despite the fact that there’s only one Canadian province where it’s mandatory to install winter tires, all Canadian provinces, as well as the tyre industry, recommend installing four winter tyres when the temperature dips below 7 degrees Celsius. United States: In the US there is no overlapping regulation for all its states, which could force you to use winter tyres in the winter time. The regulations can be different from region to region. Nevertheless it is highly recommendable to use them if you drive in the northern states in the wintertime (see map). Because there is no better way to have a safe drive when it is snowy, icy or cold and most of the tyre specialists recommend them to. Above all their argument is that you will never have the same good handling of your vehicle with summer/all weather tyres than you have with winter tyres at cold weather conditions. Personally, we have invested in winter tyres and snow chains, and as we drive every year to the mountains, we make good use of them. We have hardly ever used the chains though, as we were lucky for the past years driving to the Alps. You can read read also our article with tips on Driving to the Mountains. Next PostNext Vail Resorts closes it acquisition of Okemo Mountain Resort, Mount Sunapee Resort and Crested Butte Mountain Resort.